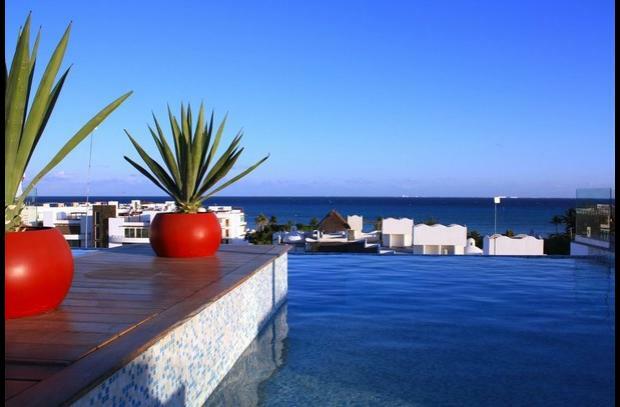 This amazing custom furnished and decorated 3 bedroom condominium in the fabulous Paseo Del Sol Condo-Hotel complex is located Playacar II, a gated community in the heart of Playa del Carmen. The bright, open concept floor plan and wide granite breakfast bar with seating for four make for an intriguing social setting. The property’s lush vegetation provides not only a striking and verdant view, but also privacy to host a barbecue for friends and family while taking advantage of Playa Del Carmen’s endless summer. If, on the other hand, a tranquil escape is desired, guests will cherish the serenity of the tropical garden, and will delight in being surrounded by nature at its finest. 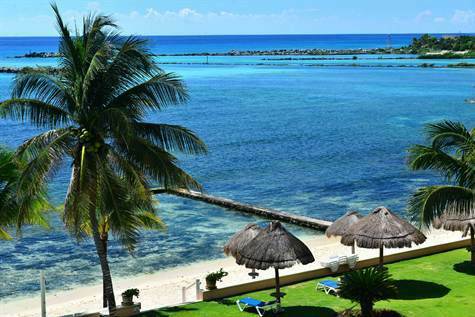 The expansive grounds feature a private tennis court, a pristine, meandering pool with kids area, a cenote, a fitness facility, a sauna, a business center, an over-sized, outdoor chess board, and a common rooftop area with wet bar and awe-inspiring views of the city. 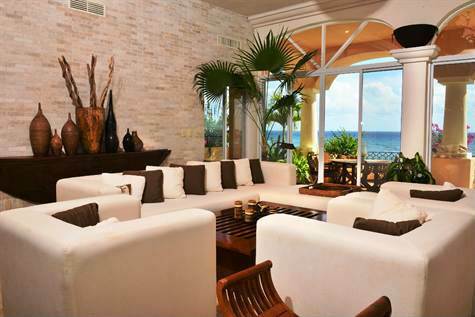 The living room features marble inlay floors and lovely bay windows and leads to a large terrace that overlooks both beautiful gardens and the first fairway of the Playacar Golf Course. This 154 m2 condo is designer furnished to be a lovely home and represents a huge upgrade from standard condo furnishing. 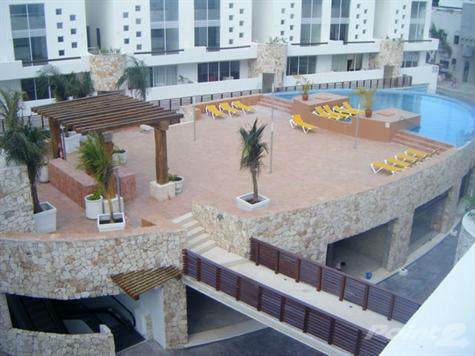 It rents in season and out from $1,600/week to $2,800/week, making it a wonderful investment. It must be seen, to be truly appreciated. The ultra modern kitchen features GE professional refrigerator and dishwasher, Teka electric cooktop, fan and oven, dark granite countertops and glass and dark wood cabinetry. 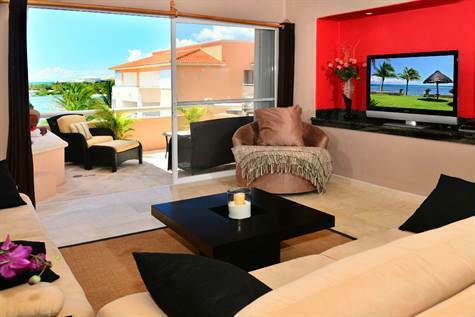 Combined with the spacious dining area it’s perfect for entertaining or for simply enjoying your Playa del Carmen lifestyle. The master bedroom suite with a king size bed features a huge shower and spacious terrace, and the second bedroom with two double beds has also a terrace with garden views, finally the third bedroom is nicely decorated with two single beds. A washer and Dryer combo are located at the entrance and a separate Owner Storage is located just outside the unit. 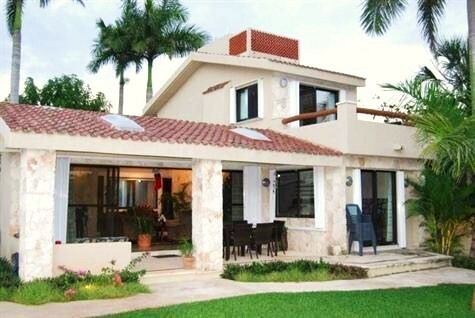 Another Great Real Estate opportunity for Sale in Playa del Carmen. 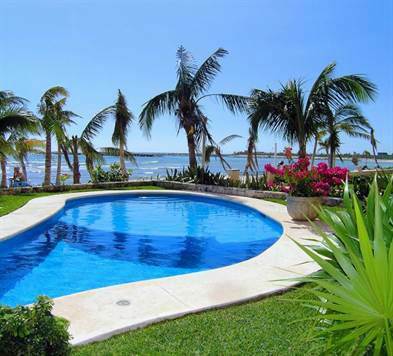 Located in the very private and quiet gated community of Playacar Phase 1, this home is more than just a magnificent luxurious villa that boasts the utmost privacy and tranquility. 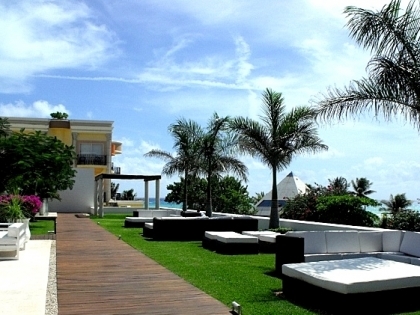 In addition to it’s convenient and hidden location in the heart of Playa del Carmen,this amazing property is located just steps from the pristine white sandy beach and Caribbean waters. Although, not beachfront, the villa maintains the privacy for low-key yet discerning travelers looking to spend their vacation relaxing and getting pampered by the villa staff! The home features a master bedroom with its private infinity pool, and 6 additional equal suites with their own private entrances. The villa wraps around the ground pool and open garden areas, creating a large private courtyard for the guests to enjoy. In addition to the large exterior spaces, the villa offers a fully equipped kitchen, media room and living area for the group to convene.